From humble beginnings Ingram's have now evolved into a company offering a wide range of services both to the public and commercial sector alike. Established for 60 years we are a family managed company that prides itself on delivering a consistent quality service tailored to individual customer requirements. 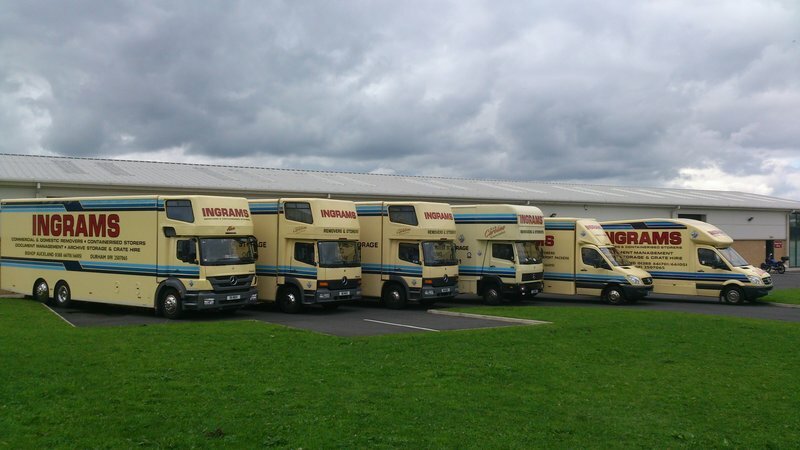 Being a versatile company we cater for all types of requests for removals and storage. We employ professional staff and run a modern fleet of Mercedes Benz vehicles which allows us to respond to a very wide variety of requests from our customers, quite often at short notice. As members of the British Association of Removers we adhere to a strict code of conduct in all our dealings with customers, from their initial enquiry up to completion. 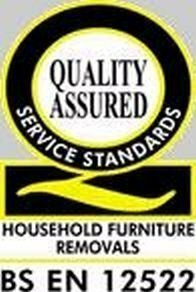 Through our quality of work we have also gained British Standard EN 12522 accreditation for our professional domestic removals and storage service. We have nearly 40 years of membership with BAR. 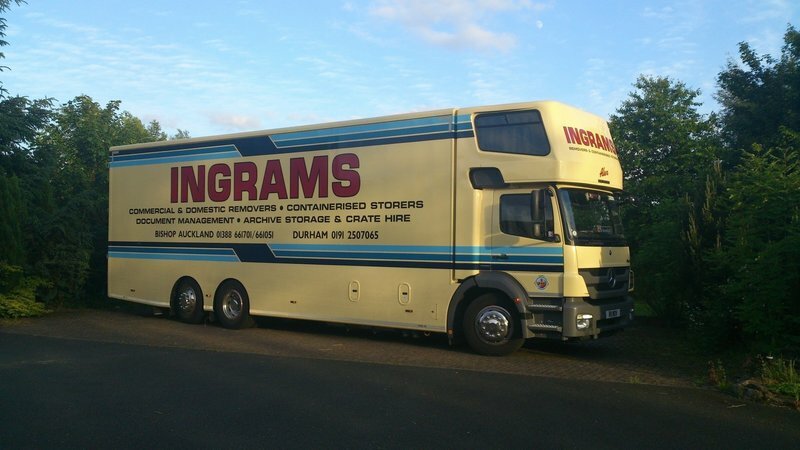 I booked Ingrams Removals when my mum was moving house because they were from our local area and I had heard such good reports about them. The price quoted was very competitive but it was their professional services that really sold it for me. They have a comprehensive range of services to suit all time frames and budgets and were not only able to book us in last minute, but were also able to accommodate our difficult requirements without any concerns. When the team arrived on the morning of the move they were really friendly, professional and helpful. Nothing was a problem to them. they handled the furniture with such care and attention, ensuring that everything was wrapped in appropriate packaging and packed it all neat and tidy. they offered help wherever they could and carried out their work in a calm and controlled manner. They made what would have been a normally very stressful time, very calm and organised. A lot of furniture has been taken into storage, a service that they provided for us and I would have no hesitation in recommending this company to anyone. They were absolutely amazing! Malcom/Ian your team are a credit to you. We got the news late on a Monday, Chain finally ready but completion had to be that Thursday or likely to go pear-shaped. My original movers had no availability but arriving to save the day came the friendly, calm and reassuring voice of Mr Ingram. No fuss made about the short notice within minutes the schedule for packing and moving was sorted. A splendid team of 5 came to pack and load on completion day. They were quick, careful, supremely efficient, polite, cheerful and nothing was too much trouble. We had overnight essentials unloaded later the same day and had time to clean our new home ready for everything else to be unloaded the next morning.There was no damage to the houses old or new during the move. ( only wish the new place’s movers had been half as careful).! The unloading team went above and beyond, even helping us shift unwanted wardrobes the previous owners had promised to remove, so we could get our furniture in. 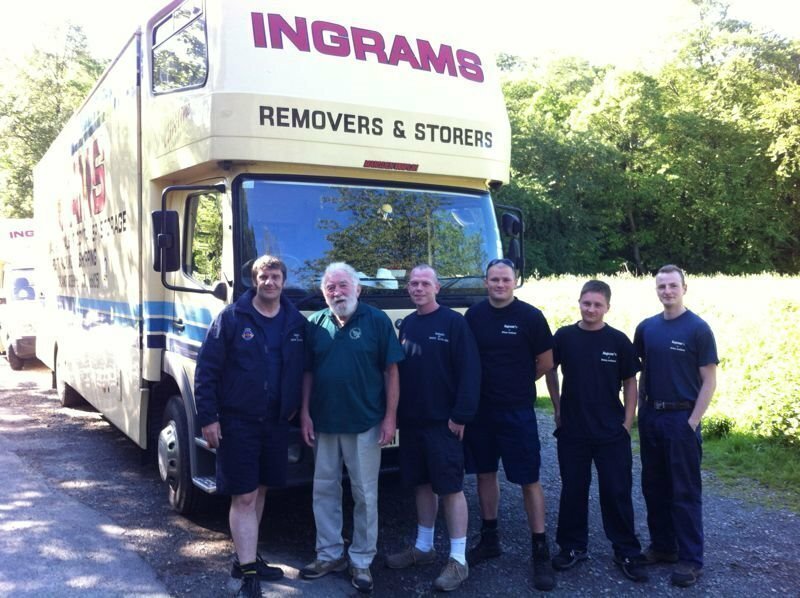 I have moved quite a few times and can honestly say Ingrams were the very best by miles. We moved a week ago and found the Bishop Auckland removal team absolutely fantastic . They arrived on time and worked very fast . They were very helpful wrapping two big pieces of glass furniture for us. They were very polite all the way through. Chris and Ray were a great team . We would definitely use them again. It is a peace of mind knowing your furniture removal is done in such a professional manner. Well done , lads ! Moving house with an outstanding quality of service. We moved from Durham City to Worcester we had the contents of a 4 bedroom house. Once the crew arrived we immediately relaxed as they were so calm and experienced. Excellent loading we had a lot of stuff all arrived safely with no breakages. All work was undertaken with a pleasant and professional manner. We have moved internationally for many years the Ingram crew came out top in our experience. We are glad to hear that you felt we looked after you so well. Our staff do this day-in day-out so we are happy to take the strain off our customers as much as possible. Thank you for your comments and feedback. What an amazing service offered by Ingrams! Simo came to our house to arrange a quotation and this was quickly followed up by Malcolm, who gave us various options of service, as requested. We chose to have the packing service; Kevin and Ray (with James in the afternoon) arrived on the first day to pack and load the lorry. Now we are really fussy and also a bit OCD (very!) but we soon relaxed as we watched them cover the ivory coloured carpets with protective plastic, produce very sturdy Ingram boxes and copious fresh paper to carefully pack our items. In addition certain items i.e pictures were packed with “international” covering for extra protection. All the boxes were labelled for the rooms in our new home. The guys were totally professional, courteous and friendly throughout the day. This arrangement left us ample time to have a final clean of our old house. (the perfect stress free arrangement for us!). We had somewhere else to stay that night but we understand we could have had a bed picked up the next morning if we had wanted. Early next morning Ray and Simo were waiting outside our new home in the lorry. They unpacked carefully and even when it started to rain, they did whatever they could to prevent any damage to our items, i.e put a cover over the mattresses, wiped dry with a cloth, etc. For information, our new builders implied we may need to touch up a bit of paint after our furniture was moved into the house - well we don’t need to because they didn’t make any marks on the walls at all! Although we are hoping this house will be our final home if we ever did move again, we would definitely use Ingram’s. We have already shared our experience with others and will continue to do so. Thank you so much Malcolm and the team. My Partner and I have been travelling internationally for the past 30 years, now on our return to the uk we were facing our first move within the UK. I had not heard of the company, I was recommended by a former client. From the first contact I was so very impressed. Moving is such a stressful time, the vehicle livery was so smart and the crew Kevin and Jamie were perfect gentlemen, we felt relaxed and confident our move would go well. Our delivery arrived exactly on time with such professionalism, with Kevin having a very difficult access man-oeuvre, again it went well. 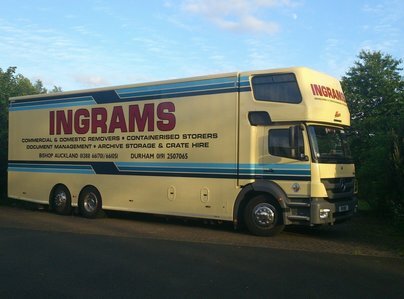 I can Highly Recommend Ingram's for all your Removal and Storage services. I would like to say thank you so much, to Malcolm and all of the team who got us moved. It was a mammoth task packing up not just the usual household furniture and bits and pieces but also my husbands massive memorabilia collection and arcade cabinets. It took two full days for just the wrapping and boxing up. I found all of your staff to be pleasant, careful and amenable to our requests, particularly John and Mick who were a calming influence. Thank you also for sending extra staff to get us unloaded in a timely way after the keys were delayed, they all worked respectfully and without fuss. I keep looking around not quite believing we did it and that we’re here, I’m very grateful that we chose Ingram ‘s. I would not hesitate to recommend your company. Over two days (Fri & Mon) the Ingrams team packed, loaded and stored the furniture and contents of our home to go into storage. The three-strong friendly and efficient team worked quickly but carefully and the whole operation was accomplished with the minimum of fuss and stress for us. All we had to do was provide the mid-morning cup of coffee! In grams helped us with our house move. Couldn't have asked for a better and smoother move, they were great.